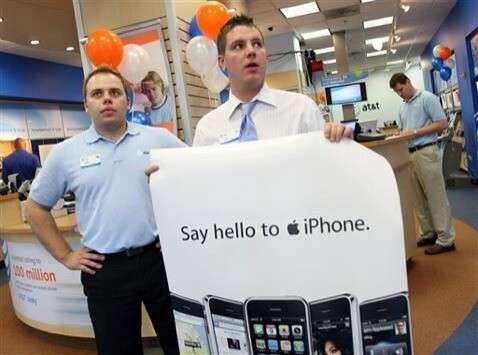 One of our high-level AT&T sources just informed us that an AT&T Vice President has confirmed to several employees that the iPhone 5 is slated to launch in early October. Additionally, the VP communicated the following to a group of managers: ‘Expect things to get really, really busy in the next 35-50 days, so prepare your teams accordingly’. Per information 9to5Mac obtained from trusted sources, corroborating the dates TiPb heard as well, Apple is aiming to launch the fifth-generation iPhone on October 7 and planning on starting pre-orders September 30. Additionally, the first week of October date for the new iPhone’s availability, fits nicely with our report about AT&T’s major early October changes: data throttling and a new insurance plan for $199 devices. Several leaks do, however, point to a thinner, sleaker form factor that represents a distinctive departure from iPhone 4’s glass design (although some obviously disagree). BGR previously reported that AT&T had blocked out September for the iPhone 5 launch and that a radically new iPhone 5 was expected in August. They also forecasted a $350 iPhone was due by “end of summer”. Also, Jim Darlymple at the Loop seems to finally agree with this date.